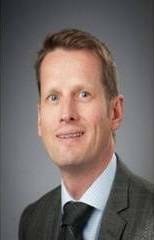 Corvus Energy has appointed Halvard “Hal” Hauso as executive vice president of sales and marketing. Hauso brings more than 30 years of industrial marine business development experience to this role, most recently serving six years as senior vice president at Rolls-Royce Marine, leading the power electric system department and as CEO at Scandinavian Electric Systems before it was bought by Rolls-Royce. Hauso has held previous senior management positions in the marine industry at Rolls-Royce Marine, Scandinavian Electric Systems, the TTS Group and ABB. He is a Mechanical Engineer with a Business degree in Finance.